New Paths Music is a new charity committed to a vigorous presence of music in our culture, and begins its life by mounting a vibrant annual music festival in Beverley, East Riding of Yorkshire. In its three years, New Paths has made a substantial contribution to the cultural life of the East Riding, and has attracted national attention for its many and ambitious plans. We believe that music enriches lives and we strive to bring music to all corners of the community. Our mission is to provide inspiring musical experiences which contribute to the social, cultural, educational and economic wellbeing of the communities in which we operate, and to the artistic life of the UK. Our vision is to be widely recognised as one of the most innovative and exciting arts festivals in the UK and as a leading provider of excellence in music through performance and education. These aims can only be realised with the ongoing financial contributions of our supporters: New Paths relies heavily on donations to carry out its charitable purpose for the public benefit. 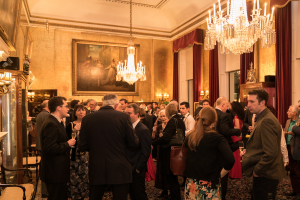 In our inaugural year as a registered charity we built up a circle of over 100 Friends and Patrons, whose support is vital to the continuation and success of the festival. We are determined to continue to provide inspiring musical experiences, to grow New Paths and to secure its longevity. Please help one of the country’s newest and most innovative festivals continue to grow and thrive by becoming a Friend or Patron, and donating to New Paths. View our manifesto, which sets out the charity’s bold vision and mission, plus its aims and activities. Please support one of the country’s most dynamic new festivals by making a donation with this donation form. An invitation to an event during the festival exclusively for friends: the opportunity to meet some of the artists and be entertained by them. Seating is unreserved at our concert venues, but Friends can select their seats in advance. Receive a biannual newsletter with updates on New Paths activities and artists. Recognition as a Friend of New Paths. Our Chairman, Roland Deller, would be delighted to hear from anyone interested in these and other sponsorship packages. There is currently still a separate Friends & Patrons scheme for the Beverley Chamber Music Festival. Patrons, who pay an annual subscription of £140, are entitled to all the benefits above, as well as a free season ticket to all concerts in the festival.